The Joe Kells Memorial (Men) and PN Classic (Women), were played yesterday at Palmerston North Golf Club. While much of the surrounding areas were basked in very warm sunshine, unfortunately this was not the case in Palmerston North, which meant players had to contend with periods of light rain and wind. This led to the scoring being much higher than expected. Angus Findlay was perhaps a surprise winner in the men's Joe Kells Memorial. The Manawatu member had round of 72 & 73 to take out the event by 2 shots over Palmerston North's, Regan Cording (73, 74). Findlay was a promising junior player a number of years back, before an injury led to him taking a long break from the game, and he took up a bit of competitive cycling. He has returned to playing pennant golf for Manawatu Golf Club over the past couple of years, along with the odd casual round. Great to see Angus back in the winners circle at district level. 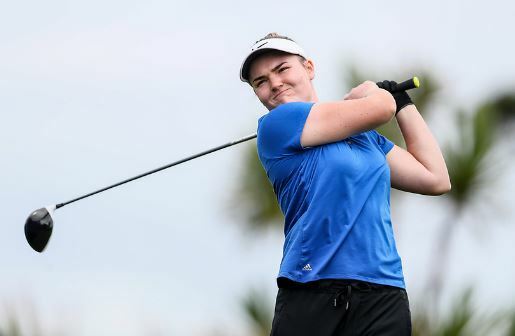 Other players to feature near the top of the leaderboard was Palmerston North teenager, Bradley McSherry (75, 75), Manawatu's Regan McConaghty (80,71) & Wanganui's Phil Hooper (78,73). The women's PN Classic event also produced a surprise winner, with Palmerston North player Casey Chettleburgh, prevailing by 1 shot over Manawatu's Lisa Herbert (77, 74). Chettleburgh has only been playing competitive golf over the last couple of years, and was the travelling reserve for last years Toro team which made the semi finals. Chettleburgh fired the only sub par round of the women's event, with an impressive 71. The current top 2 representative team members, Zhouyi Hu (78, 74) and Tara Raj (77, 78) finished in 3rd and 4th. Well done to everyone that entered and played in this event. 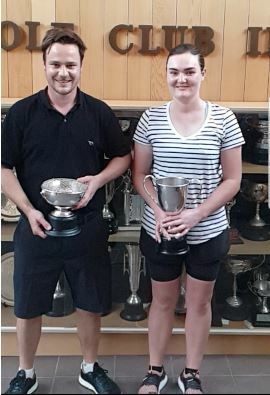 The next district OOM event is the Wanganui Open which is scheduled to be played much earlier this year on Sunday 24 March. Wanganui has a number of big events planned this year as part of their 125th celebrations.